On a regional level, ECLAC said 2014 growth will be led by Panama, with an increase in its Gross Domestic Product (GDP) of 6.7 per cent. SANTIAGO, Chile, Tuesday August 5, 2014, CMC – The Economic Commission for Latin America and the Caribbean (ECLAC) says Caribbean economies are expected to recover in 2014, while lowering the growth forecast for the entire region to 2.2 per cent. 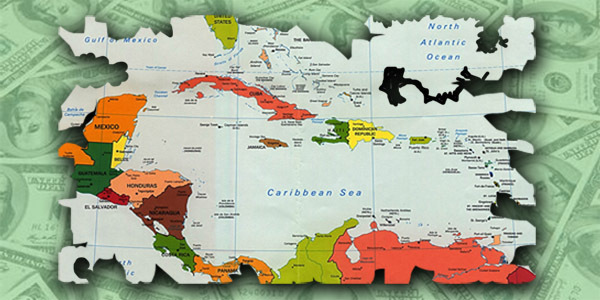 ECLAC has unveiled its report, “Economic Survey of Latin America and the Caribbean 2014,” indicating that Caribbean economies will grow to two per cent “which implies a recovery from the 1.2 per cent registered in 2013”. Overall, ECLAC revised its projections for Latin American and Caribbean economies, which it said will experience average growth of 2.2 per cent in 2014, “affected by the weakness in external demand, less dynamic domestic demand, insufficient investment and limited room for implementing policies to spur an upturn. “These elements have a differentiated impact on Latin American and Caribbean countries and sub-regions, confirming a high degree of heterogeneity in growth dynamics,” said ECLAC in cutting the regional growth forecast for 2014 that was issued last April when it predicted a 2.7 per cent growth. The study indicates that the economic slowdown observed in the last quarter of 2013 persisted during the first months of 2014, meaning that the region will grow less than the 2.5 per cent recorded last year. Nevertheless, the report signals that a gradual improvement in some of the world’s major economies should enable the trend to change towards the end of 2014. “Macroeconomic policies have to take into account each country’s specific vulnerabilities,” said Alicia Bárcena, ECLAC’s executive secretary in presenting the document. According to ECLAC’s analysis, the resumption of economic growth in the United States will benefit Mexico and Central American countries; while the recovery of the United Kingdom and several economies in the euro zone will have “a positive impact, especially in the Caribbean, due to the arrival of more tourists”. The main risk is the lower growth forecast for China in 2014, the report emphasizes. “The regional economies that are more specialized in exporting commodities to that country could be affected if the Asian giant cannot maintain its growth above seven per cent ,” the report states, noting that, in the medium term, the region is expected to face less dynamic demand for its main export goods and more costly external financing. The Economic Survey 2014 stresses that, in light of this new scenario, macroeconomic policies to manage the economic cycle and those oriented towards fostering more long-term growth must be closely coordinated.